Hillsboro’s Gardens in The Gap event is a celebration of spring’s arrival in a colonial settlement that values its historic roots. This year’s program includes a focus on the nation’s founding fathers—and their gardens. 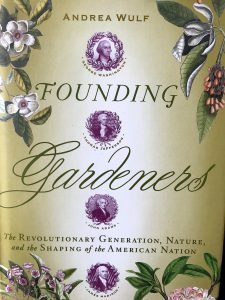 For the founding fathers, gardening, agriculture and botany were elemental passions, as ingrained in their characters as their belief in liberty for the nation they were creating. In her best seller, Wulf describes how even as British ships gathered off Staten Island, George Washington wrote his estate manager about the garden at Mount Vernon; how a tour of English gardens renewed Thomas Jefferson’s and John Adams’s faith in their fledgling nation; how a trip to the great botanist John Bartram’s garden helped the delegates of the Constitutional Congress to break their deadlock; and why James Madison is the forgotten father of American environmentalism. Wulf, who was born in India, raised in Germany and lives in England, began her exploration through fellowships with the International Center for Jefferson Studies at Monticello and then spent three years poring over the correspondence and diaries of the colony’s revolutionary leaders, resulting in a somewhat surprising observation. Wulf gives lectures around the world on the subject, but finds that the topic resonates well in Virginia. “Almost everyone has been to the garden of the founding fathers—they see Mount Vernon in front of them or they see Monticello in front of them,” she said during a recent interview. That may be particularly true in Hillsboro, territory that was well known to Washington as a young surveyor working in the colony’s western frontier. Wulf’s book drew accolades for providing a fresh view of this period of American history. Out on the lecture tour, she’s frequently asked: How can someone who is not American, who lives in England, who is German tell us so much about the founding fathers that we didn’t know about? She found that passions for gardening were closely linked to the political thinking of the 18th century, and says that continues today. Wulf has spent the past decade exploring the life and scientific contributions of Alexander von Humboldt, the Prussian geographer, naturalist and explorer. In 1800, he became the first person to describe the phenomenon and cause of human-induced climate change, but his work was little known to the general public outside of Germany or Latin America. “The Invention of Nature: Alexander von Humboldt’s New World,” introduced the pioneering scientist to a broader audience in 2015. 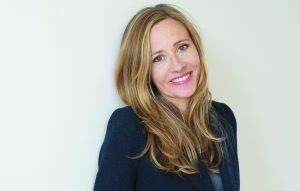 This month Wulf is publishing “The Adventures of Alexander Von Humboldt,” with illustrator Lillian Melcher. The work featuresstriking graphic depictions of Humboldt’s diary from his five-year exploration of the Americas starting in 1779. Copies of “Founding Gardeners,”“The Adventures of Alexander Von Humboldt,” and Wulf’s other works will be available for purchase and signing following the program. Wulf’s lecture is part of Hillsboro’s Eat, Drink and Be Literary community discussion series held at the Old Stone School. The April 26 program starts at 7 p.m. Doors open at 5 p.m.
Tickets are $15 per person for advance sales, which end April 17. For tickets and additional details, go to oldstoneschool.org.